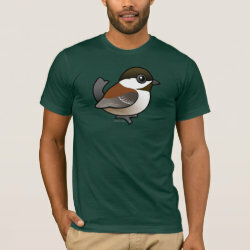 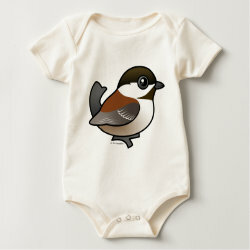 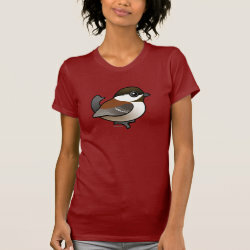 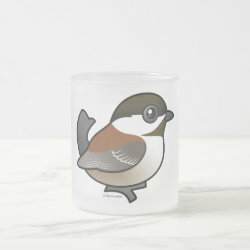 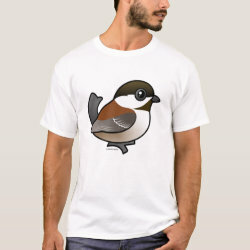 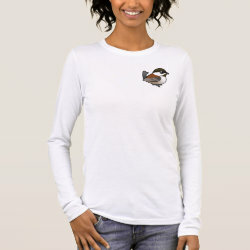 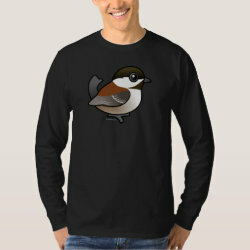 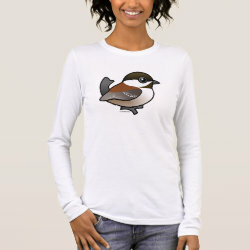 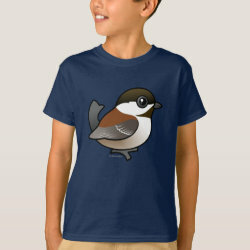 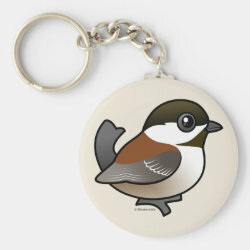 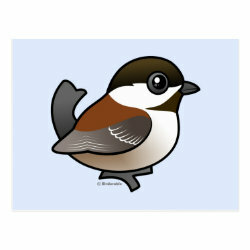 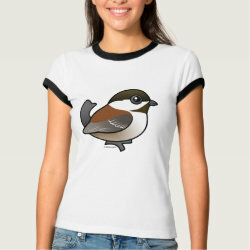 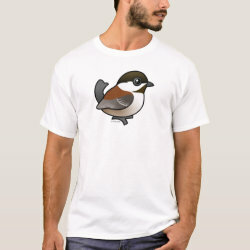 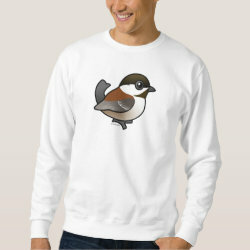 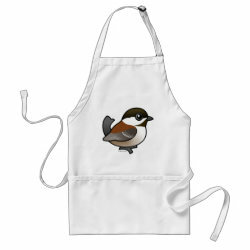 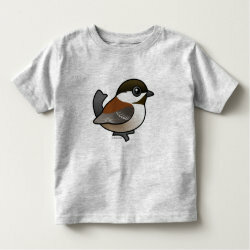 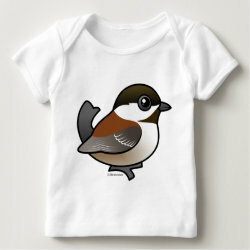 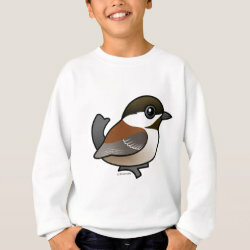 This cute little chickadee lives from southern Alaska to southwestern California on the Pacific West of North America. 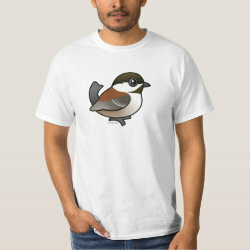 It has a dark-brown head, white cheeks and rufous-brown mantle. 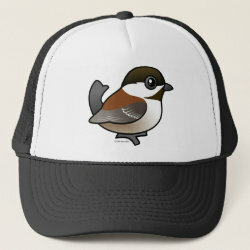 The wings are dark gray.